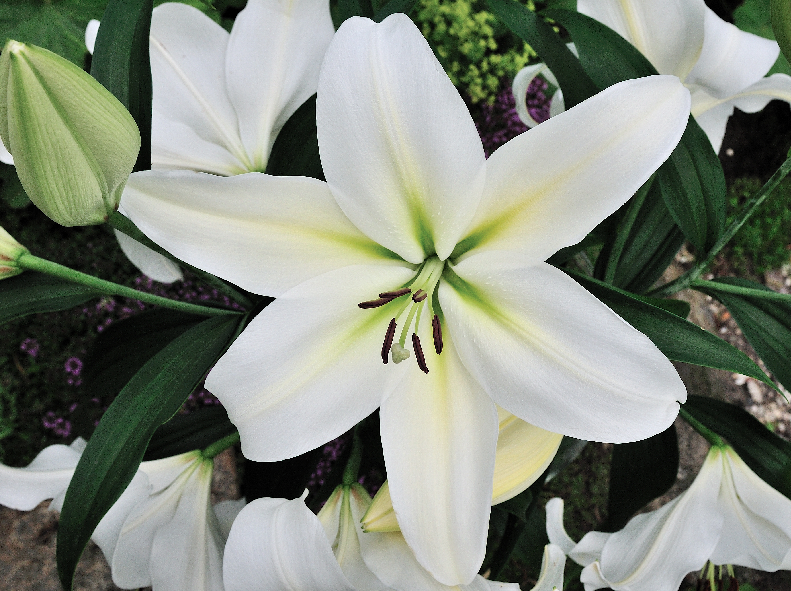 Will my lilies that require ericaceous grow in neutral compost? Yes they will do but Orientals do like an acidic soil. You could always introduce some ericaceous soil to the area. This entry was posted in FAQ, How to plant lilies, Lily Bulbs, Lily Care, Newsletter and tagged Aftercare for Lilies, How to plant lilies, Lilies, lily bulbs on May 22, 2017 by Harts Nursery. I bought lilies from your nursery last year ,they flowered beautifully last summer ,and have grown well this year and multiplied ,but i have one whose leaves have turned partially black and the plants growth has stopped. Could you advise me what to do ,I would be very grateful. It sounds like it may have caught a virus unfortunately. I would advise discarding this one. This entry was posted in FAQ on May 22, 2017 by Harts Nursery. I enjoyed watching Monty Don planting your Gizmo Longiflorum on GW last week. I was particularly interested when he mentioned they could be planted in partial shade. 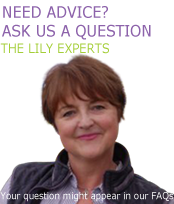 I just wondered if you could recommend any other lily’s which perform well in a border which is in dappled shade for three quarters of the day, and which will ideally flower in mid late summer. All lilies will flower in partial shade, if they are in heavy shade they will tend to go searching for the light so can grow at an angle. so as long as they are getting some good natural light you will be fine. This entry was posted in FAQ on May 4, 2017 by Harts Nursery. Hello, I have recently aquired 6 Crown Lilies. I have read up on how to look after them once the blooms have faded. Do I feed them until the stems wither, when do I cut the stems off? The advice I have read seems very conflicting. Do you sell the bulbs? I would like some Yellow & Red Bulbs. Mine are all Orange. You can just let them die back naturally, Cut the seed head off and let the stem die back into the bulb. Feeding is not rely required. we sell the bulbs in the autumn. This entry was posted in FAQ on April 24, 2017 by Harts Nursery. Just to say your lilies are great! So glad I have found you. The lilies you offer are different and brilliant. Good to find ones I have not seen before. The price is good too! Thank you so much for getting in touch. We really appreciate the feedback! This entry was posted in Uncategorized on April 17, 2017 by Harts Nursery. Will fritilaria persica cope in dry soil? hi – i know the above plant needs good drainage but does it need alot of moisture too or will it cope in a dryish soil? Fritillaria Persica are perfect in dry conditions. This entry was posted in FAQ on April 14, 2017 by Harts Nursery. How do I care for a Stargazer lily in a pot? I was given a stargazer lily in a pot. It is indoors. The leaves are falling off. What can I do? Should i plant it outside? Yes put it outside whilst it’s dying back and then it should flower again next year. 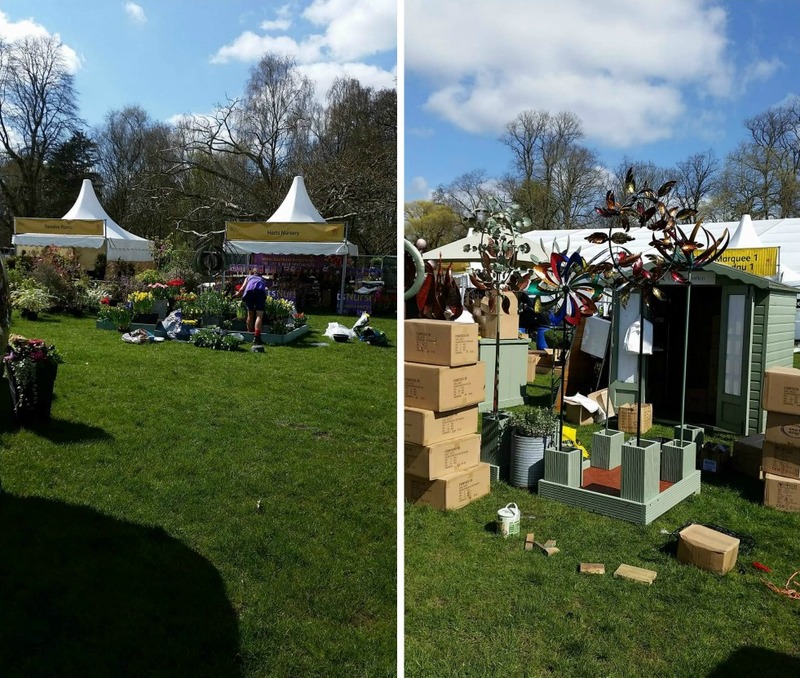 We had a glorious sunny weekend at RHS Cardiff last week, and wanted to share some photos of our outside display, the before and after. 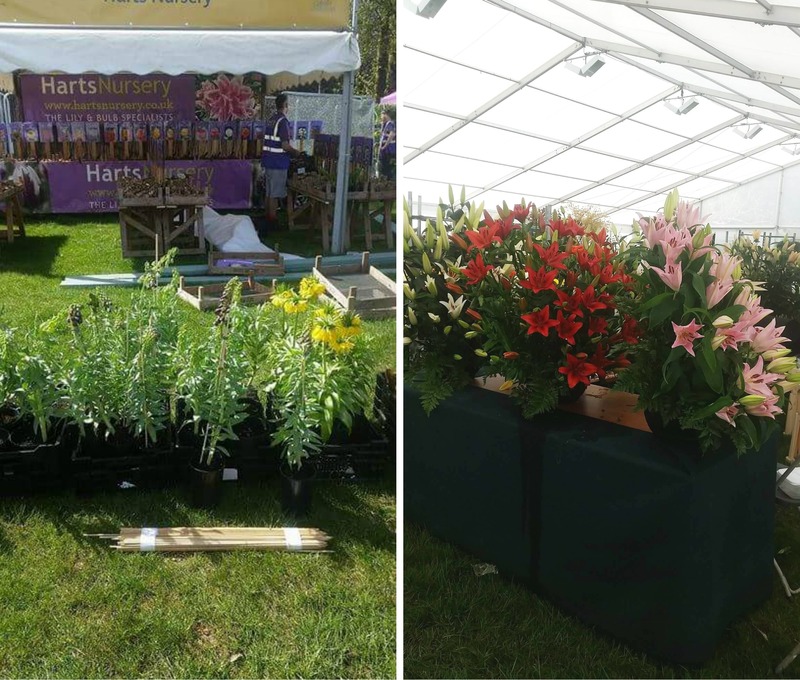 Jonathan prepared the outside garden display and selling area while Loraine and Pat were inside with the lily display. 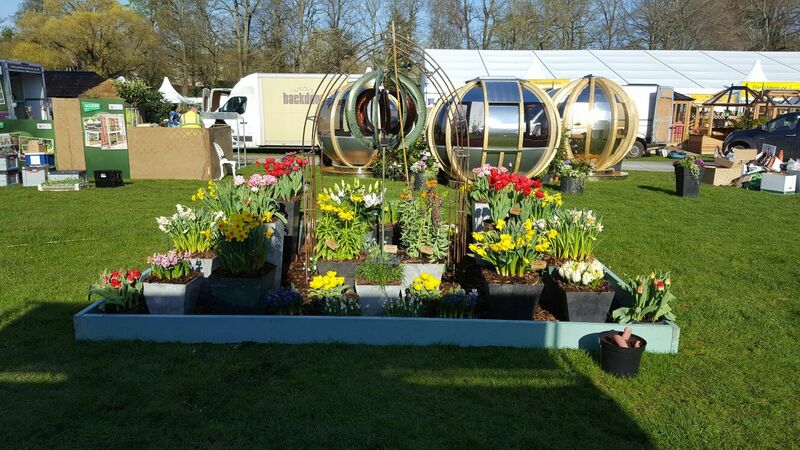 We’ve also had a busy week with online sales as BBC Gardeners’ World featured our gizmo lily bulbs (pictured in bloom below) on Friday night’s episode. If you want to snap some of these up before they’re gone, you better be quick! You can find them for sale online in our shop. 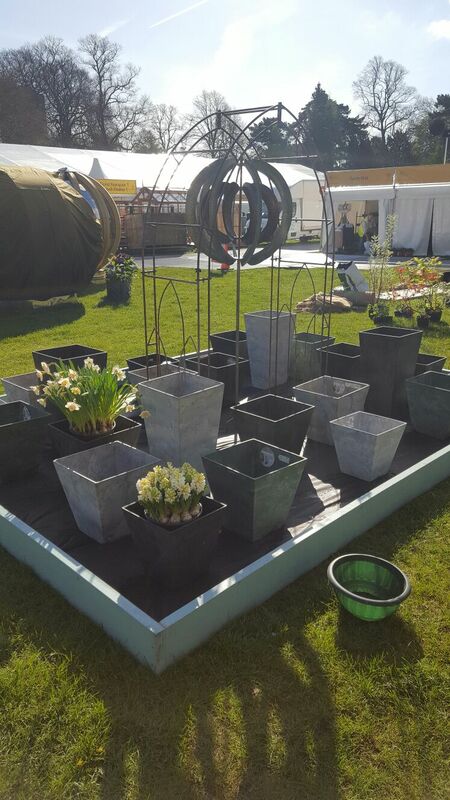 Not only are we busy with the mail order, we are now preparing for the Harrogate flower show which is on next week. We have 3 stands there. No rest for us now that it’s show season! We hope to see some of you there. This entry was posted in Flower Shows, Newsletter, Spring Bulbs on April 12, 2017 by Harts Nursery. Look out for Lily Beetles! 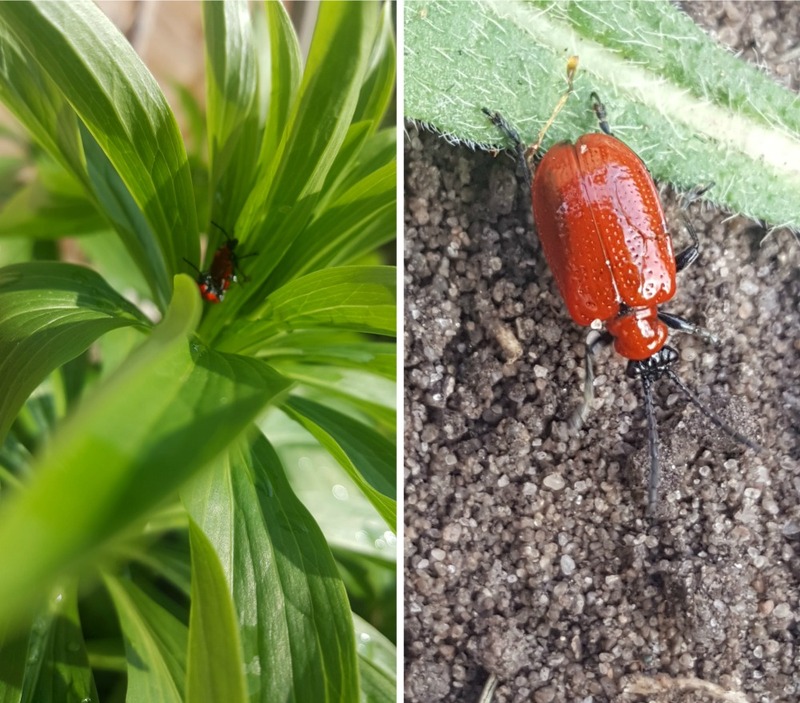 Now’s the time to start checking your foliage on your lilies and fritillaria for the dreaded scarlett beetle. I’ve just been out in my garden and found 4!! Those little pests were soon removed to prevent them from ruining the leaves of my plants. We have tips to prevent these beetles from ruining your plants and other care tips on our FAQ page. This entry was posted in Newsletter, Spring flowers and tagged garden flowers, Lilies, Summer Garden on April 10, 2017 by Harts Nursery. 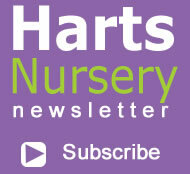 Am I able to collect an order from your nursery? Hi, I’d like to order some lilies and was wondering if I could collect the bulbs from the nursery, rather than have them sent out. I do live very close! Yes you’re more than welcome to collect your order from the nursery. Please call us on 07855785540 to arrange your order and collection. This entry was posted in FAQ on April 9, 2017 by Harts Nursery.